DENVER WINDOW CLEANING AND DENVER CARPET CLEANING COUPONS AND SPECIALS!! 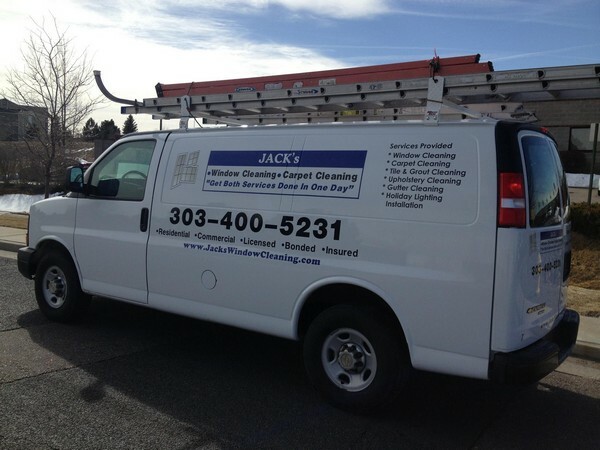 Jack's Window & Carpet Cleaning is proud to be known as the best carpet and window cleaner in Denver! We have been cleaning carpets and washing windows in Denver and nearby communities for over 30 years. We specialize in both exterior and interior window cleaning. We provide carpet cleaning near Denver and the suburbs. We package our services to meet your home improvement needs. We are experts in carpet cleaning and window washing, and also provide gutter cleaning, tile and grout cleaning, upholstery cleaning, carpet repairs, Christmas light installation. We service the entire metro area, including Denver, Aurora, Centennial, Denver, Parker, Littleton, Englewood, Lakewood, Golden, Arvada, Evergreen, Greenwood Village, Highlands Ranch, Castle Pines, Castle Rock, Larkspur, Sedalia, Franktown, and Elizabeth.